Day and night, enjoy the private rooftop lounge with panoramic views of the city skyline across the treetops of the Junction. Living in a city should not mean you have to compromise on outdoor space. Take the elevator to the rooftop and you’ll discover a 4,000 square foot outdoor lounge with a variety of spaces to enjoy. Featuring a fire pit, BBQs, a harvest table, and loungers, it’s the perfect spot to relax and unwind. Invite your friends over for dinner, bring your laptop and do some work, or curl up with a book while soaking in the sun and unparalleled views of the city. The House in Junction House. 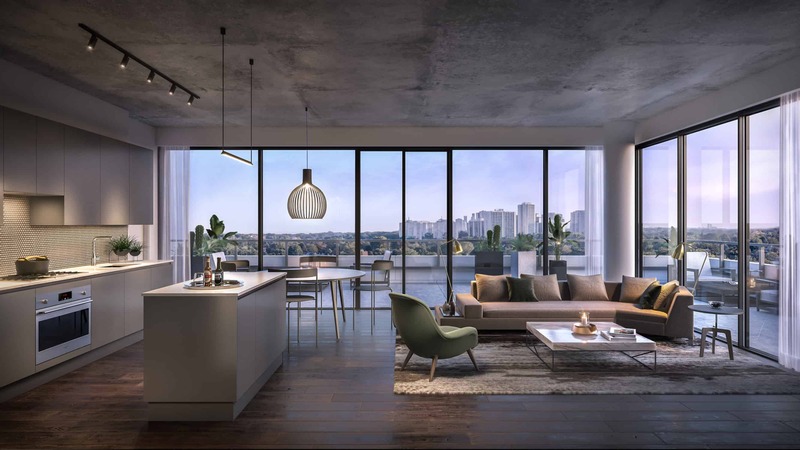 The Collection features over 30 two-storey suites, designed with the intent of creating homes in the truest sense of the word. The House Collection is made up of carefully-designed two-storey homes on the sixth floor and laneway houses along the north end of the building. The House Collection is a signature offering and one that gives Junction House its name. 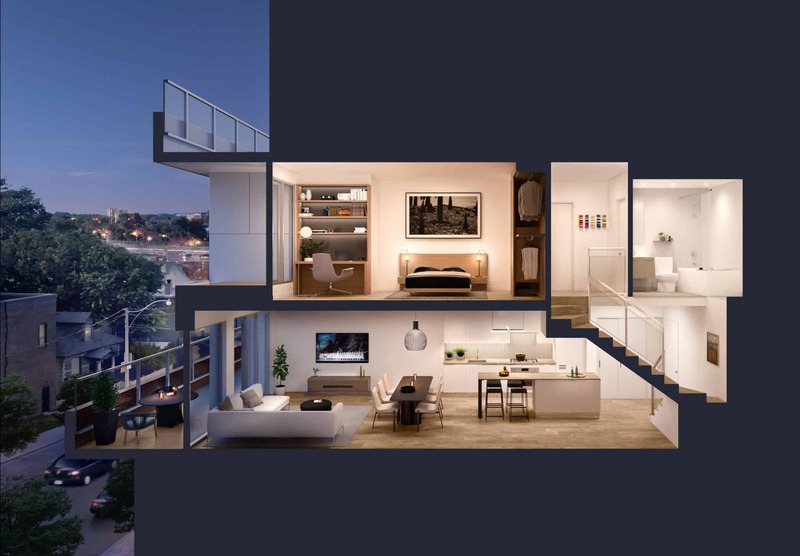 All homes in the Collection come equipped with wide living spaces, designer kitchens, gas ranges, deep terraces (with gas and water connections), and upper floor bedrooms — the perfect fit for couples and families who may require a bit more space. Upstairs, the bedrooms have also been thoughtfully designed in order to maximize access to light and air. 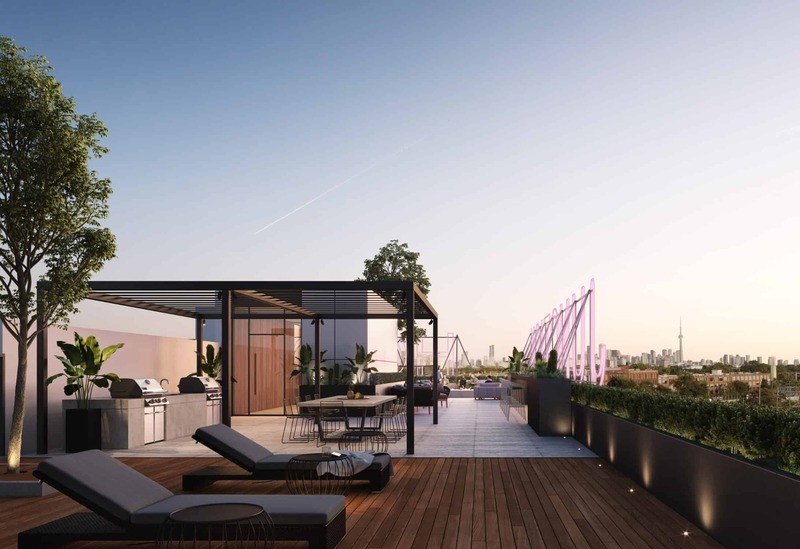 Private terraces offer the perfect modern home, where entertaining, barbecuing, lounging, and stargazing can all happen storeys high. The laneway houses feature seamless connections to the outdoors of your personal, private front yard space. 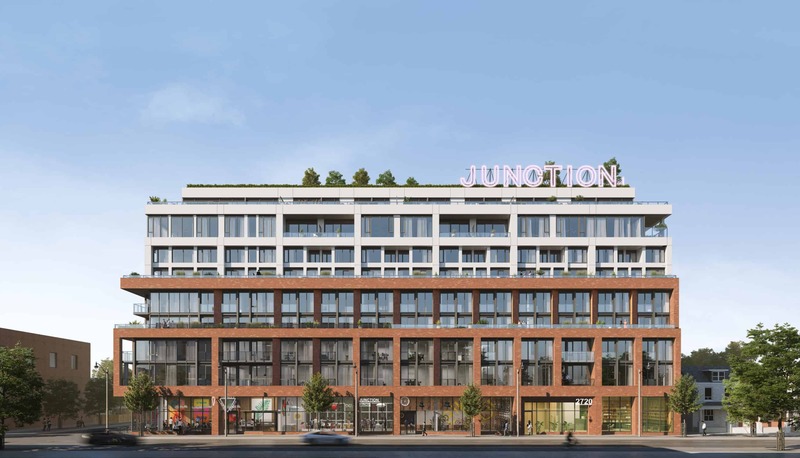 At Junction House, you maximize on city living, without compromise.